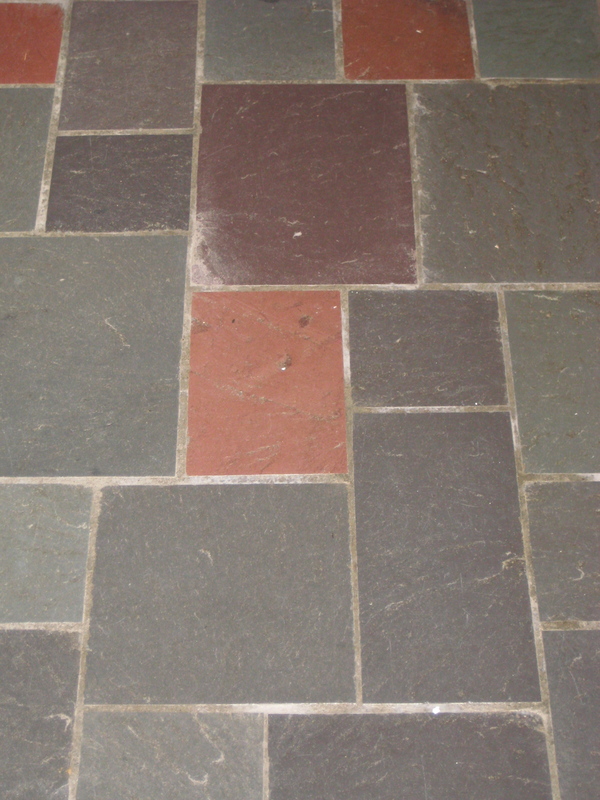 Are you living with a slate floor from the early ’80s? Many of you are. Slate is a wonderful material for the foyer as it’s easy to mop up after muddy boots and dogs trample through. But many slate floors have a distinct color palette (the gray-greens, blue-greens, purples and rusty reds) all in one small square footage. Busy? Yes. And out-dated? Yup. Besides throwing a rug over it or replacing it, the other approach is to embrace the color palette presented to you by the previous owners. 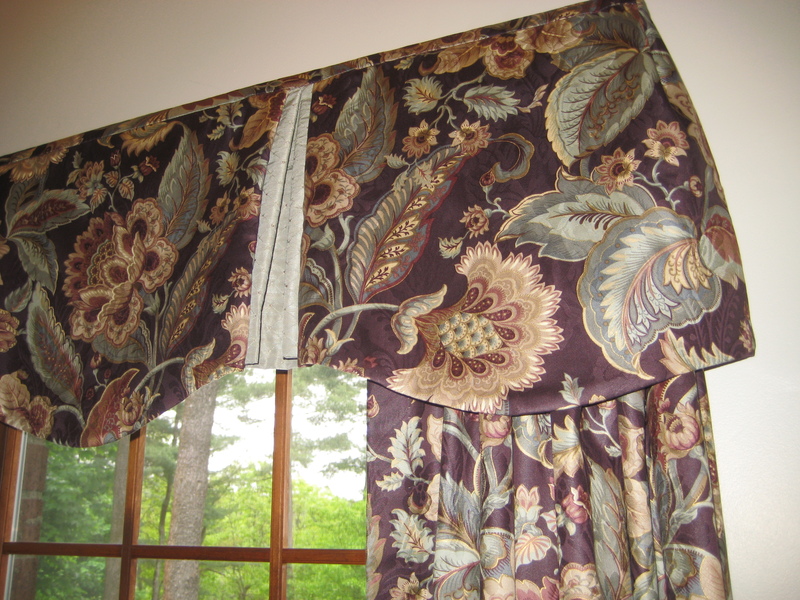 Currently, the gray-blue-greens are quite popular in fabric lines and even paint stores. And purple is a great accent color. So if you are updating your foyer and are cursing the flooring, take heart. Pull a palette from the floor at least for the foyer area. Blending the floor with the surroundings will make it less of a color feature in your room. And as always, create a focal point just inside the front door. A large piece of art, a bench, or a mirror– something to draw the eye upward away from the floor. If you are planning to install new flooring in your entryway, choose a neutral that will stand up to decades of wall color changes and will look just as terrific 20 years from now as it does today. I am in the process of decorating my basement. When I bought the house the basement was finished but empty. The floors are a light laminate oak and I just painted the walls a neutral taupe brown with white trim. there is quite a bit of trim( chair rail, decorative boxes below chair rail, and three bifold doors. I have a olive/sage green sofa and two cream color recliner chairs. I would like to put an area rug down but I am having having trouble decidin on one. I would like a shag rug. I don’t want anything with a busy pattern and originally I though I wanted a plan cream one but I am afraid it would be too blah! Any suggestions? I also have a dark (espresso) firelplace and two dark end tables. Since you have mainly earth tones already, how about livening up the basement room with either a dark eggplant rug or something warmer in the rusty red family? Either of those will bring a new color into the palette and allow you to springboard from the rug into art and accessories in the same color scheme. You are currently reading Flooring Challenges: Working around the color scheme at Your Home & Color Coach.